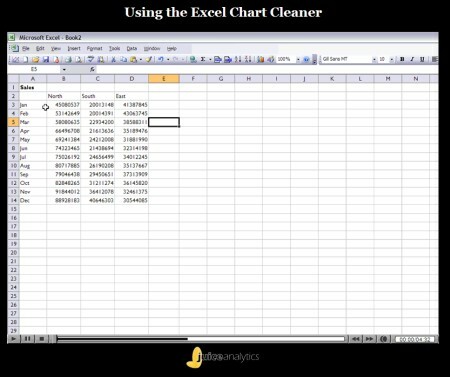 Here’s a screencast showing the Excel Chart Cleaner tool being used. Unlike previous screencasts, this one is not inline with the blog, but is on a separate page as I needed more elbow room to show the charting process. The screencast is less than 5 minutes in length, so there is no real discussion of Excel charting problems. You can find those here or here. The video is safe for work.